Sauterne is a wine region of France famous for its sweet white wine. Only allowed to be made of Sauvignon Blanc, Semillon and Muscat grapes. The grapes are picked at the end of the season and once the berries have been attacked by noble rot. Whilst it is only 10 days of work, it takes 2 months to harvest wines for the Sauterne wine as it is dependent on temperature and humidity; the task is a laborious one which has to be done vine by vine and always by hand. The price of this wine is more expensive as each vine produces only one glass compared to the one bottle produced per vine in the rest of Bordeaux. Each bottle of wine comprises what the weather has brought as it is forbidden to use any man-made irrigation systems. The Chateaux Sigalas Rabaud is one of the few still family owned; the rest of the Chateaux have been acquired by insurance corporations or banks. 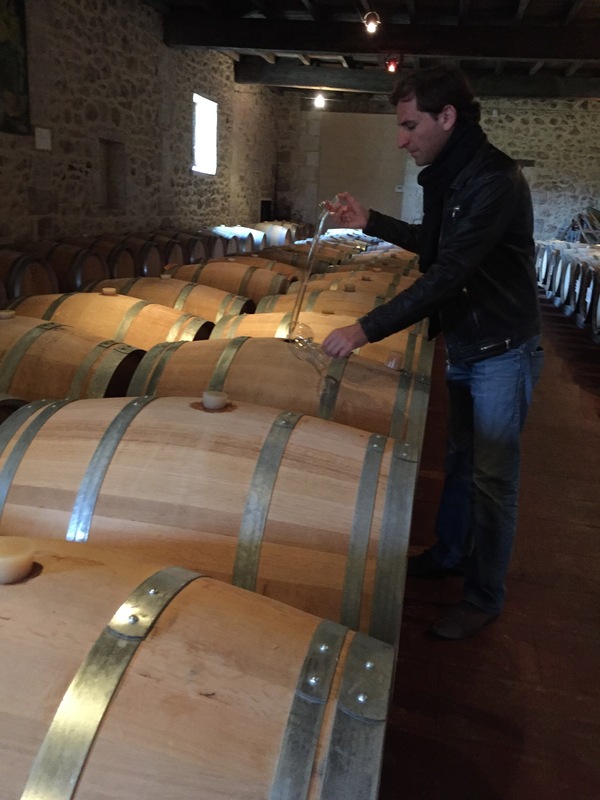 And unique visit being able to see the aging wine in their barrels and tasting out of them!